Once you’ve crossed onto the monogram side of life, there’s no going back! You become a monogramoholic. I find myself looking at something in a store saying “this would look even cuter with a monogram!” I have been planning my dorm room for some time now, and I have to limit myself or else I think everything in my room would be monogrammed. I literally have had dreams about what it would be like owning an embroidery machine! 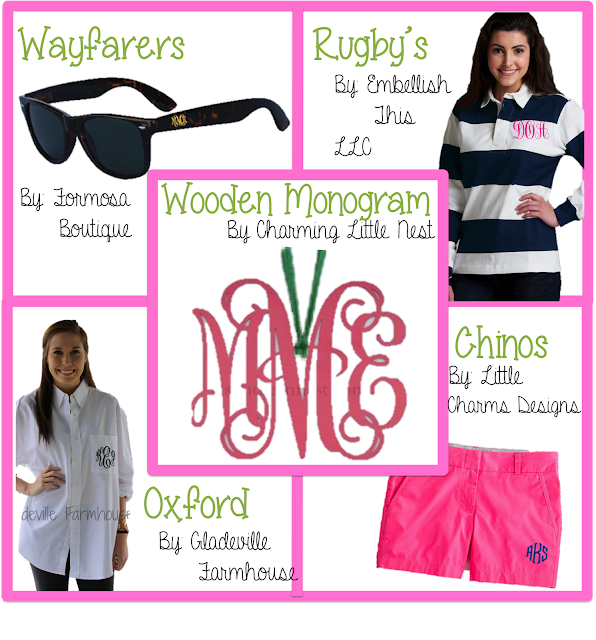 I have put together my favorite monogramed products from all different etsy shops! 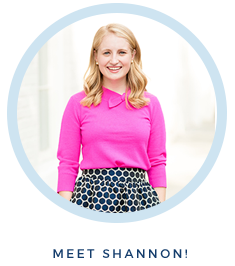 I think we can all agree with Reese Witherspoon’s quote: “if it’s not moving, monogram it”! Wayfarers by FormosaBoutique | “got you wayfarers on and the sun in your hair”. Anthem of this summer of 2013 and the best line from Brad Paisley's song "Beat this Summer". It's also the first thing that comes to my mind whenever I wear my wayfarers. When I think of perfection, these sunglasses are pretty close to it. These sunnies are an absolute essential for any summer vaca. Rugby’s by Embellishthis LLC | My lacrosse team had rugby shirts made with our team logo embroidered on them and at first I doubted I would ever wear it. I assumed it would turn into one of those pieces of clothing that slowly makes it's way to the back of the closet simply because you forget about it. Boy was I wrong! They look adorable with leggings are and are heavy enough to use as a sweatshirt in the winter. Wooden Monograms by CharmingLittle Nest | I have wanted one of these for as long as I can remember. Now that I’m in the process of planning my dorm I think (hopefully) I have finally convinced my mom I need one. I mean let’s be honest, how cute would this look hanging above your bed or desk. Oxford by Gladeville Farmhouse | Not only are these darling for bridesmaids, but I think these would be perfect for those days that you walk into a closet surrounded by clothes, but still can’t seem to find anything to wear. You could throw on with just about anything (ex. Jeans, chinos, leggings) and instantly be ready to go. Chinos by LittleCharms Designs | Oh how I love you chinos. I had a post not too long ago about my love for these heavenly shorts. Not only are they heavenly, but now you can have them monogramed! Need I say more? I think not.